Dr Co-Pierre Georg is a senior lecturer at the African Institute for Financial Markets and Risk Management (AIFMRM) at UCT and the Director of the newly founded UCT Financial Innovation Lab. He previously held a position at the UCT Graduate School of Business, and holds a part-time appointment at Deutsche Bundesbank as a Research Economist in banking supervision and regulation. 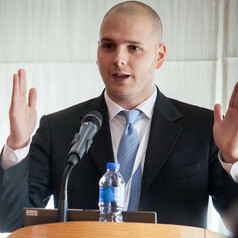 He is a Research Associate at the Oxford Martin School for the 21st Century at Oxford University and a Research Affiliate at Columbia University's Center for Global Legal Transformation.